Anyone who knows me and likes cars will have heard me eulogise about the Light Car Company Rocket. 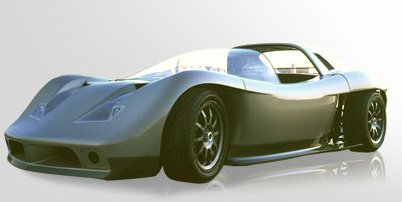 Despite being a fantastic concept it was too advanced for its time and too expensive for something which, to most people, looked like a kit-car. Any number of bike-engined kits now get quite close to the ideal. But not quite close enough. I heard today about the Laboratorio BEBI P1. Developed by the designer of the Ferrari 250 GTO; 400 kg; stunning aerodynamic body; carbon-fibre monocoque; bike engine. Wow. I have no idea how much it will cost, but if all goes according to plan then it will be at the Autosport Show in January and available to buy from the middle of next year. Excuse me whilst I start saving. This page is http://www.strangely.org/diary/200407/bebi.html. It was first published on Monday 19 July, 2004 and last updated on Thursday 22 July, 2004.